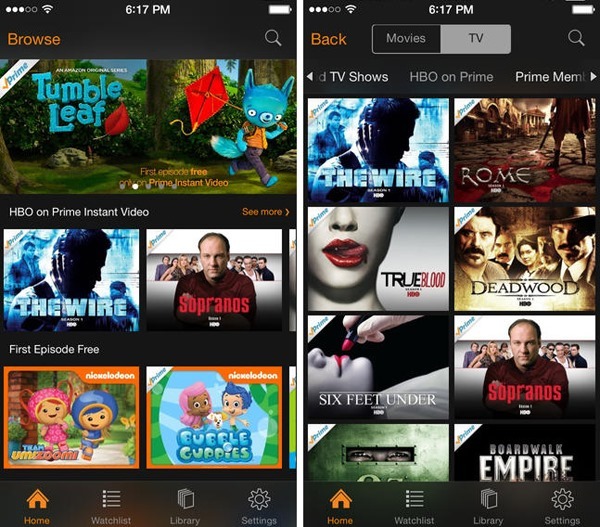 Amazon has updated its Instant Video app for iOS users, and hopes to reel viewers in with a feature allowing the first episode of a TV show to be watched for free. The episode will be ad-supported, and at this time subsequent episodes will not be, but it does perhaps foresight a business model that Amazon may seek to explore in the future. Hitherto, only Prime users would have such privileged access to this kind of content, but while Amazon maintains that it won’t be moving to an ad-based alternative allowing users to watch their favorite shows for free, it does feel as though the company is creeping towards this territory. After all, Kindle Fire users, as well as those in ownership of the Roku set-top, can also enjoy their first episode for free, and given the manner in which digital media is distributed in this day and age, there seems to be an air of inevitability about the whole thing. The move is good news for Amazon Instant Video users on iOS, who will be able to view content ordinarily out of reach to those not tethered to the online retailer’s famed Prime membership, and with Amazon working hard to increase the range of content on offer, it’s clear that the company is looking to better arm itself against Hulu and other big names in this field. If you were asking us, we’d hazard that Amazon will probably take this free, ad-supported model further, particularly given the recent launch of the Fire Phone. The device, which is Amazon’s inaugural entry into the smartphone market, arrived amid quite a buzz last week for its 3D visual effects and other neat quirks, and if the company could incorporate some kind of free video package into the deal, it certainly wouldn’t hinder sales. Regardless, the Amazon Instant Video app for iPhone and iPad is now ready to download, so grab it right via the link below, and don’t forget to check out the "First Episode Free" option therein.